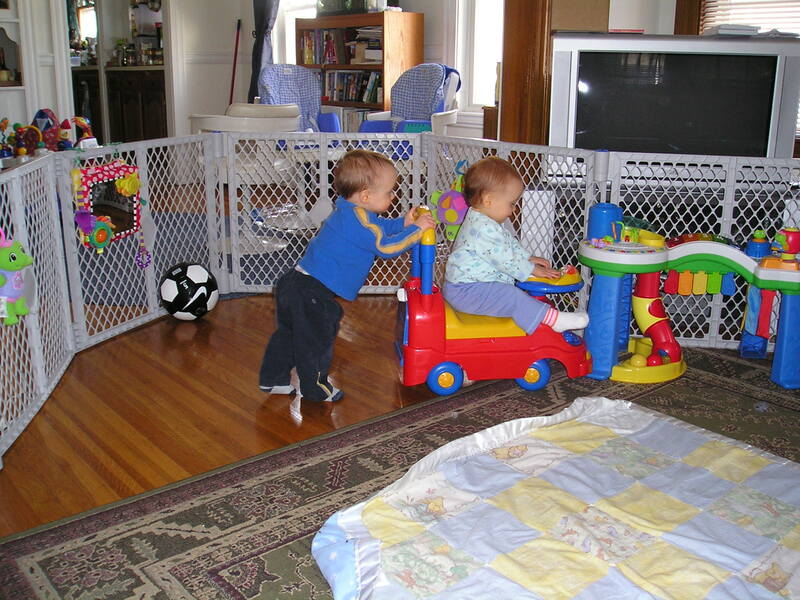 This was a favorite pass-time of Burke and Maggie’s … and it turned out well: Burke LOVED pushing, and Maggie LOVED riding. This picture was taken on March 11, 2006. The kids were just over a year old. Don’t you love when things work out like that. Such a cute picture! So cute! I remember when my guys used to push each other around like that.